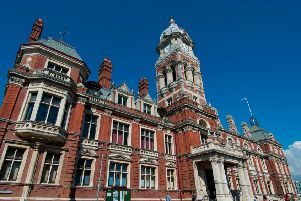 Eastbourne council leaders have agreed to purchase the town’s former magistrates’ court with a view to building affordable housing on the site. On Wednesday (March 20), Eastbourne Borough Council’s cabinet approved proposals to acquire the disused law courts in Old Orchard Road, as well as a neighbouring Probation Service building. The council is looking at the possibility of building affordable housing on the site, which has been vacant since 2017, but says a final decision would be made after any land purchase takes place. 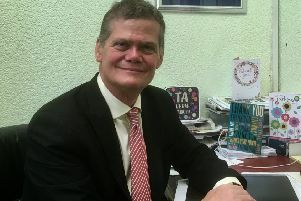 Speaking at the meeting, Cllr Alan Shuttleworth, the council’s lead member for housing, said: “This is another example of the council being proactive in looking around the town and at a range of schemes to try and help provide more affordable housing. “I think it is a good scheme and I commend the recommendation to you. More details of the scheme are expected to be made public this summer, with a planning application then expected to be lodged before March next year. If approved, the council would aim to finish work on the site by March 2022. The council is also looking at including office space within the development. While details of the purchase price has not been made public, officers say the purchase would be ‘below market rate’. According to a council report, ownership of the law courts has been transferred to Homes England who are negotiating the sale to the council on a ‘special purchase basis’. Negotiations are also underway on the final terms for the sale of the Probation Service building, the report says. The report said: “Once the land is within the council’s ownership a business case will be developed which will include the advice from both a planning and commercial perspective. “The council could decide to build the homes in the Housing Revenue Account or through one of its wholly owned entities.